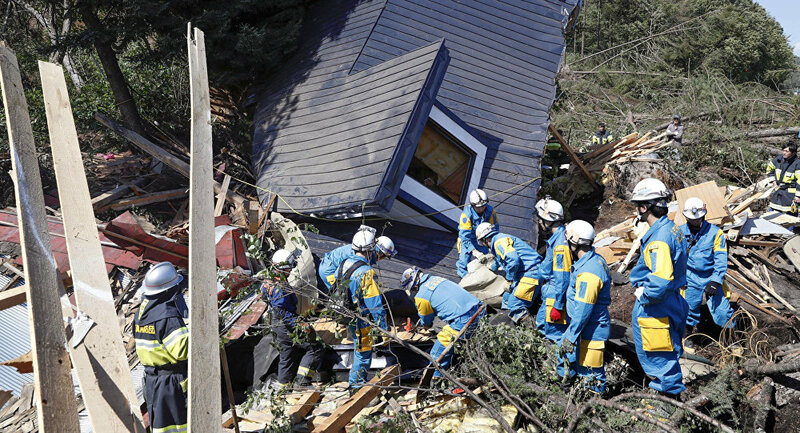 At least four people have been confirmed dead, according to the government of Hokkaido prefecture. Officials have said that more than 32 people remained unaccounted for, possibly buried underneath landslides in the village of Atsuma. ​The 6.7-magnitude quake hit the north of Japan early Thursday morning. The epicenter of the tremors was located at a depth of 37 kilometers in the Iburi region. ​The seismic event was followed by 22 aftershocks; the magnitude of the strongest of them was 5.4. Experts have warned of the possibility of additional seismic activity during the week.